New Delhi: AYUSH Ministry would receive around eight per cent more funds in the next fiscal amid the government’s increased focus on promoting alternative medicines. In the Union Budget for the fiscal 2017-18 announced by Finance Minister Arun Jaitley, Ayush Ministry has been allocated Rs 1,428.65 crore for the financial year, starting April 1 this year. 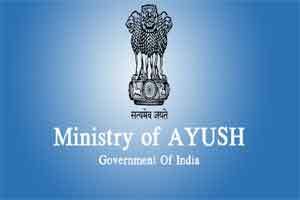 The Central Council for Research in Unani Medicine has been allocated Rs 123 crore in the AYUSH Ministry’s budget for the next fiscal. AYUSH is ASH. Let them bring white paper on efficacy of the so called ayush system . With any kind of proof they r practicing or practicing modren medicine by back door entry . The same amount canbe spent for portable water, nutrition and other preventable health. The ministry is like white elephant , the officers should know what they r doing . Read and understand the biology ,physiology , pahalogy and relate where the ayush stand . These are permitted quacks . It is a shame all talk of medicine even with out the basic knowledge of human biology . It is a shame and sham .